A partnersip with Microsoft Corp. is Mastercard Inc.’s latest attempt to branch out beyond traditional payments and into new commerce-oriented services. 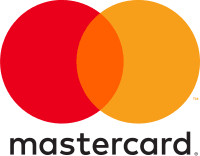 The company on Wednesday introduced Mastercard Track, a platform meant to aid companies engaging in global trade. The service lets businesses manage accounts payable, screen potential new partners for risk, and on-board suppliers. Mastercard is betting that as more companies develop global supply chains, small businesses in particular will need tools to make sure they’re partnering with the right companies and able to manage increasingly complex invoices.